Republicans and Democrats unite behind what is likely the first of several aid packages. 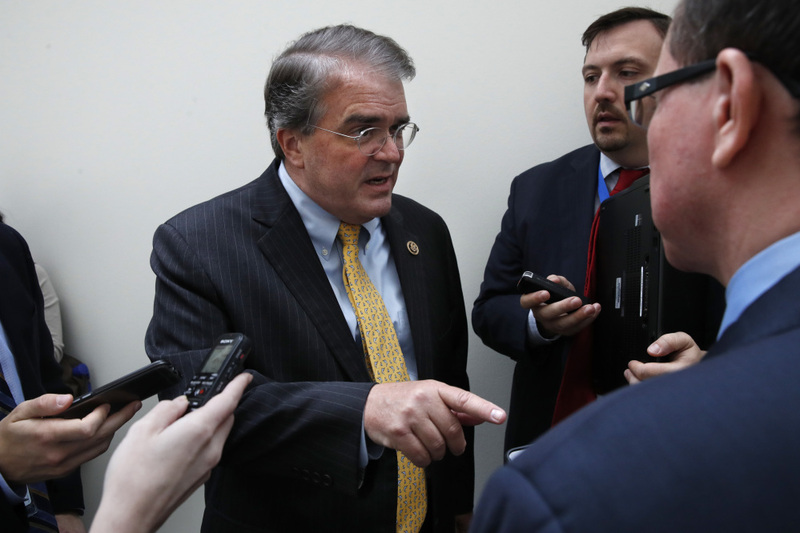 WASHINGTON — The House on Wednesday overwhelmingly passed $7.9 billion in Hurricane Harvey disaster relief as warring Republicans and Democrats united behind help for victims of that storm. Even as they voted, an ever more powerful new hurricane bore down on Florida. The 419-3 vote sent the aid package – likely the first of several – to the Senate in hopes of sending the bill to President Trump before dwindling federal disaster reserves run out at the end of this week. The first installment in Harvey aid is to handle the immediate emergency needs and replenish Federal Emergency Management Agency reserves in advance of Hurricane Irma, which is barreling through the Caribbean toward Florida. Far more money will be needed once more complete estimates are in this fall, and Harvey could end up exceeding the $110 billion government cost of Hurricane Katrina. Politics quickly intruded as Democratic leaders insisted they would back the measure in the Senate only if it were linked to a short-term increase in the nation’s borrowing limit, not the longer-term hike that Republicans and the Trump administration want. And some Democrats from the New York delegation reminded Texas Republicans that they opposed a larger aid bill for those harmed by Superstorm Sandy in the Northeast five years ago. In the Senate, Republican leaders want to link a long-term increase in the debt limit – until 2019 – to the Harvey aid, but that plan faces opposition from conservatives and thus will need Democratic votes. “I think it’s a terrible idea,” said House Freedom Caucus Chairman Mark Meadows, R-N.C., who conceded that conservatives were getting outmaneuvered. “I think at this point there are bigger issues that we have to focus on,” Meadows said. House Minority Leader Nancy Pelosi, D-Calif., and Senate Minority Leader Chuck Schumer of New York want to retain Democratic influence and are trying to ensure the Republican-controlled Congress addresses health care and immigration as the hectic fall agenda kicks off. “Given Republican difficulty in finding the votes for their plan, we believe this proposal offers a bipartisan path forward to ensure prompt delivery of Harvey aid as well as avoiding a default, while both sides work together to address government funding, DREAMERS, and health care,” Pelosi and Schumer wrote. Senate Majority Leader Mitch McConnell, R-Ky., said again Wednesday that increased Harvey costs show the importance of acting swiftly to increase the government’s debt cap to make sure there’s enough borrowed cash to pay out the surge in disaster aid. Analysts at the Bipartisan Policy Center, a Washington think tank, say Harvey aid wouldn’t cause a cash crunch for weeks.